Boys and Girls Academy and NPL teams. USDA (United States Development Academy) Boys - Birth year '07-'00. The Force Academy is one of 77 clubs participating in the Development Academy with boys teams from ages 2007-2000. To schedule a tryout: Force Academy. Force Girls will play for California Thorns in the newly formed Girls Development Academy. 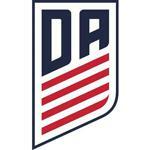 De Anza Force also has NPL status, National Premier Leagues were created to create high level competition and increase player development and identification, De Anza Force has NPL teams for boys and girls born 2005-2000. The path to every elite teams starts with younger age groups in competitive soccer, Force teaches the techniques, foundations and ethics through every age group and level to build the platform for development. *Current Force players do not need to arrange or attend tryouts, players should contact their coach for evaluation. De Anza Force offers a complete development pathway that leads to the top college programs in the country. We are pleased to offer our new “Professional Path Program” as well, leading to the top professional clubs in Europe. For competitive tryouts for boys and girls ages U8-U18 please contact Tom Brough.